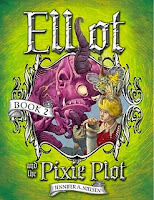 Elliot and the Pixie Plot (Underworld Chronicle #2) begins where the first book of the series, Elliot and the Goblin War, leaves off with Eleven year old Elliot Penster becoming king of the Brownies. Elliot thinks his life is bad when he gets paired up with Cami 'Toadface' as his science partner. It gets worse when he has to host his nemesis, the former Tub Lawless for a sleepover. But when Harold the Shapeshifter shows up, real chaos ensues. The Pixie princess, Fidget Spitfly, wants Elliot to release Grissel, the Goblin's leader, from Brownie prison and sends Harold to threaten Elliot into releasing him. In a humorous, action filled quest to meet the demands of the angry fairies, Elliot must navigate the dangers of the Underworld, like gripping mud, to find a certain creature to bring back items demanded from the fairies. I loved the whimsical nature of the narrator in this book. The action filled plot made me want to keep reading. Though I did not read the first book in the series, I was able to easily able to get into this book without any confusion. Reading The Pixie Plot definitely made me want to read the first book and got me excited for a future book. Great as a stand alone book as well as an integral part of a light fantasy series which the middle grade reader will look forward to. Highly recommended for fun fantasy and humor for ages 8-12. **Disclaimer: I received a copy of this book free of charge for review and giveaway purposes from the author. It in no way influenced my review of the book. I did not receive compensation in return for a favorable review. All opinions are unbiased and honest. 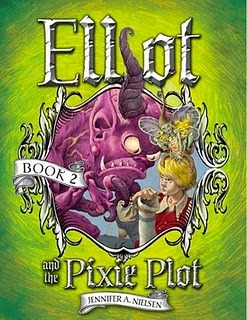 One lucky winner will receive a hardback copy of Elliot and the Pixie Plot by Jennifer A. Nielsen. To enter: Follow the instructions on the Rafflecopter form. 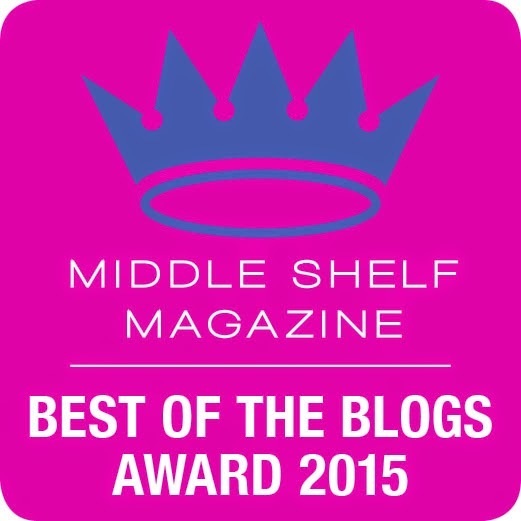 If it doesn't look like the right form, please click on the blog title and it will bring up the right form. It may take a minute to load. Contest ends Monday Oct. 31, 2011 at 10:00 p.m. MST. Narnia is one of the favorites. Found out you can adapt it to even little kids. My son loves The Lightning Thief!!! My daughter loves the Lightening Thief, and we LOVED the movie!!! My kids love the Harry Potter series. Even before the Narnia books, my aunt read us The Phantom Tollbooth and the classic Alice in Wonderland. Now I would have to say the whole Percy Jackson series and Harry Potter. I rememeber my Aunt read us a book, about a knight in shining armor, it was a fantasy book. The Chronicles of Narnia is a given. Other than that I love a little known but rather large book called Brave Story. SOunds fun! I love fantasy, the Fablehaven Series is my favorite. I always loved the old classic, "A wrinkle in time" and "The Lion the Witch and The Wardrobe". I was always a fan of where the wild things are.